Many people desire thicker, fuller lips, and many procedures can be performed to help patients achieve this goal. Lip augmentation may take several forms, but the goal is to create fuller lips and reduce fine wrinkles around the mouth. Lips that are too thin make the face appear severe or unhappy. Full lips are a natural sign of arousal, and are considered a primary signal of desire in cultures around the world. However, lips that are overly enhanced (“bee stung”) can draw attention away from the natural balance of the face. My Face Aesthetic Clinic understand the various procedures available and can guide you to your best natural look. A natural lip enhancement can help to return the lips to a more youthful state without looking ‘fake’ or unnatural.For patients who want a very subtle change to their lips, A small amount of filler to help define the lips. This can also help to erase ‘smoker’s lines’ around the mouth as well. 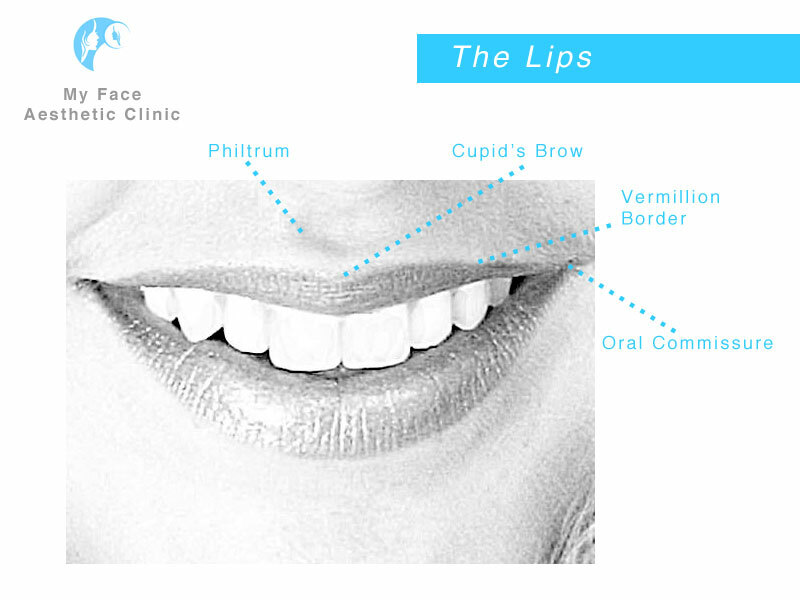 Lip Definition Treatment, which helps to define the features of the lips with a conservative augmentation. For patients who desire or would benefit from some enlargement of their lips, filler can also be used for augmentation. Our goal is always to create a naturally augmented lip. Teosyal Kiss, Mertz Belotero Balance and Princess Lip Fillers are common fillers used by our clinic in Bolton for treatment of the lips. Depending on the patient’s desires and their facial features, Karen will select a treatment plan to create beautiful, natural lips. And while many patients assume that these treatments are painful, discomfort can be virtually eliminated with Karen’s specially formulated anesthetic cream and injection technique.